WordPress needs no introduction; as it is one of the most versatile and yet powerful CMS in the world which powers more than 25% of sites in the world. There are many ways you can setup WordPress. Most popular method is using cPanel provided one click install. PHP7 makes WordPress buttery smooth as it uses JIT (Just in Time) technology similar like HHVM, and even beats HHVM in performance. Still we have to consider a robust setup so we need to ensure that there are cache mechanism to low down the burden of hardware resources. 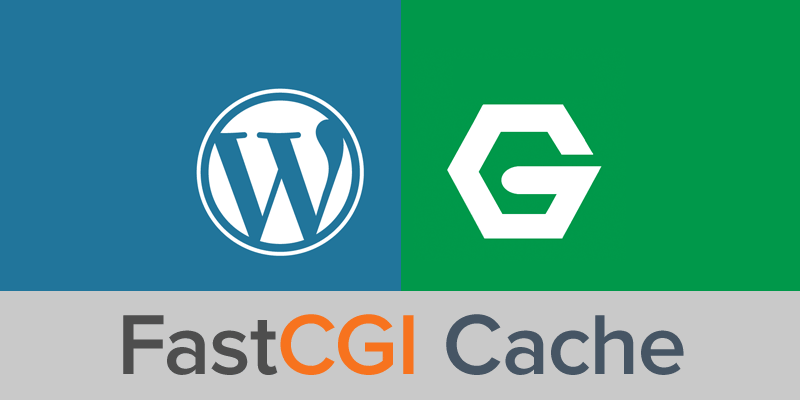 Thus, after many test and trials I am presenting you how to enable FastCGI cache in WordPress which is also known as MicroCache or Server-Side Cache. If you have followed our previous tutorials you may have seen that we store our WordPress setup to /var/www/html, so we need to create a folder for cache also. We can use WordPress’s default cache directory but we are not using it, why want to know? Because while backing up WordPress directory the cache folder also get backed up and we don’t want to happen this. So we can create one directory at the top of WordPress at /var/www/cache/site. You can change this to any location but do not keep it inside WordPress directory. Just add below blue lines in your current configuration. I have copied our previous code and added cache code in blue color. Now we need to restart NGINX and check weather it is working or not. Now login to WordPress and add one plugin called Nginx Cache and add the same cache location (i.e., /var/www/cache/site) inside that plugin. With the help of this you will able to purge cache inside WordPress itself. Since it is very basic plugin which is made to delete a directory, it won’t hurt the performance anyhow. If you have any suggestions or feedback regarding the above setup let us know using the comment section below, and don’t forget to share your experience after using this setup.